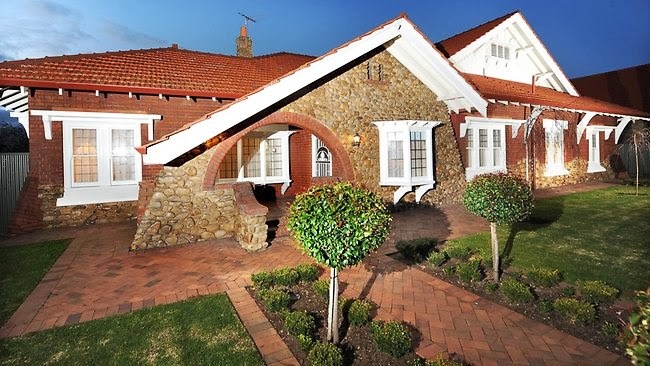 The home was designed by Adelaide Oval scoreboard designer Kenneth Milne and built in 1913 for his brother. Its previous owners included GM Holden and the Greek Consulate. Mrs Peter says the home had an austere style to it. “It was bare of cornices. It was all square set and manly,” she says. However, Mrs Peter says she didn’t want Eaton House to be a shell with a modern interior. 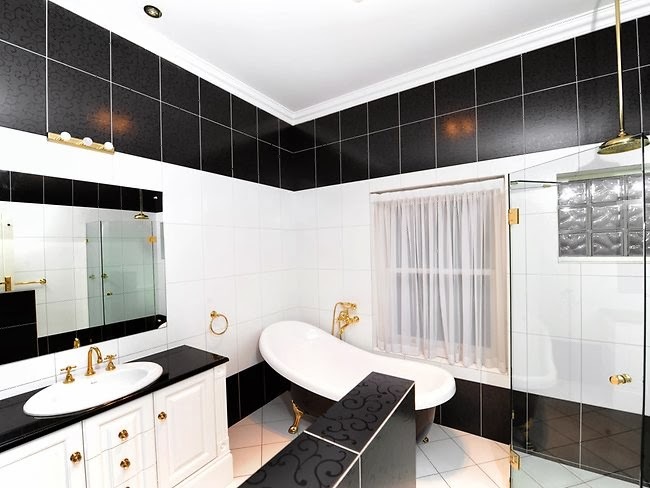 “Renovated to luxurious perfection, this large and stately residence set in beautiful manicured grounds of approximately 2000m2 combines the dignity of yesteryear with sensational resort-style relaxation featuring a sparkling gas-heated pool with waterfall spa, synthetic half tennis court and alfresco pavilion complete with entertainer’s kitchen. 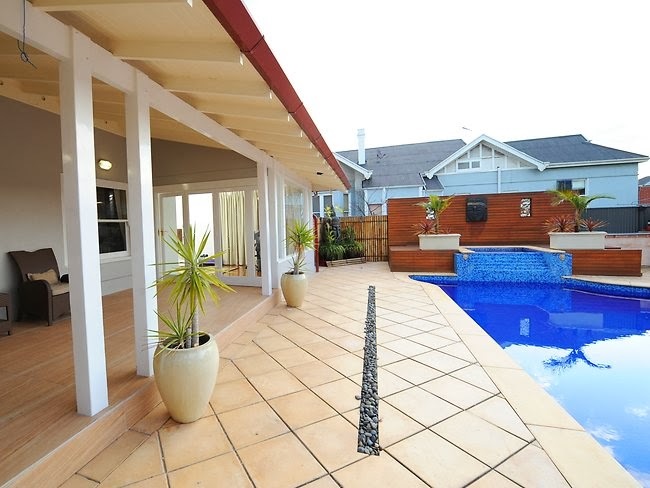 “The location couldn’t be better with the North Adelaide parklands across the way and O’Connell Street eateries, top schools and the Adelaide Oval only a short walk away. 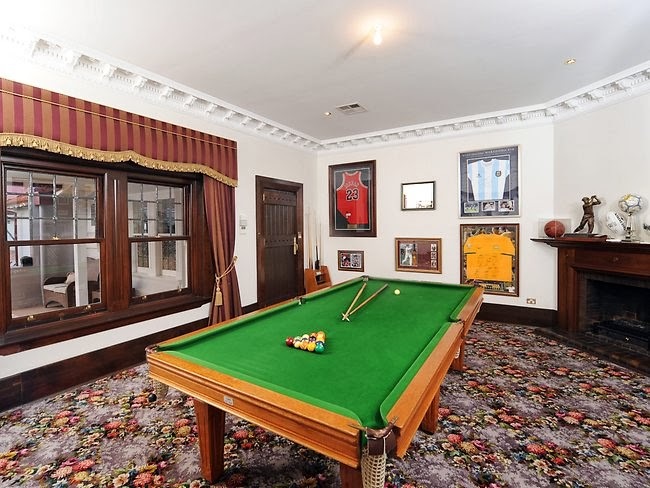 Coincidentally, the oval’s iconic scoreboard was designed by Kenneth Milne, whose architectural prowess also extends to this and many other homes commissioned by wealthy members of the Adelaide establishment. “Built in 1913 for Milne’s brother and successively owned by GM Holden and the Greek Consulate, the residence on one of Adelaide’s premier boulevards boasts an impeccable provenance and all the trappings of status including successively larger and more imposing entrance halls leading to grand reception rooms, currently disposed as formal lounge, study and billiard room. And yet, it’s a peaceful, cocooning family home where you can relax and feel free. “Enjoy your favourite DVDs under the galaxy ceiling of the home theatre with Grafik Eye control and C-bus automation: wine tastings in the most exclusive of cellars and nightcaps in the ritzy spirit bar (originally the butler’s pantry). 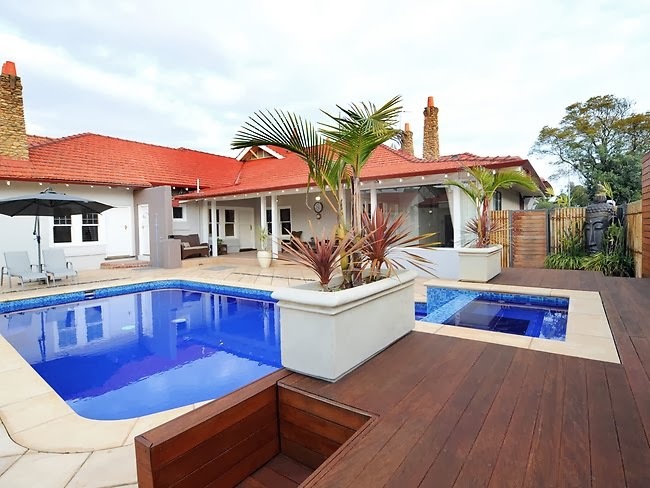 Swim or simply unwind poolside, maybe a hit of tennis, dance the night away with surround sound and fire up the pizza oven when family and friends drop in. At the heart of it all, the alfresco studio offers year-round air-conditioned comfort, with stack-up glass for seamless integration of the north-facing outdoor pleasure zones. 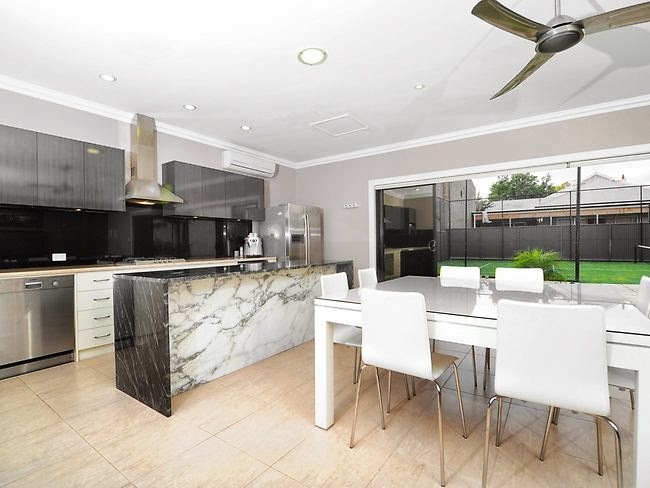 “Cook the food you love to share here and in the stunning main kitchen featuring a double-layered granite island bench and all-Smeg appliances including a spectacular 1200mm range and espresso machine, with a walk-in pantry and elegant formal dining just steps away. The owners of a heavily renovated 1913-built mansion have had one eye on its past and one on its future, writes Amy Noonan. A THORNGATE mansion has had a long and rich history before falling on hard times. However, it was its run-down nature that appealed to Liz Peter, when she and her husband bought the Fitzroy Tce property five years ago. “It was in a mess. And it was the perfect renovation,” Mrs Peter says. “We left it structurally as it was. A lot of people said ‘why don’t you bulldoze it’ but it’s a very grand home. 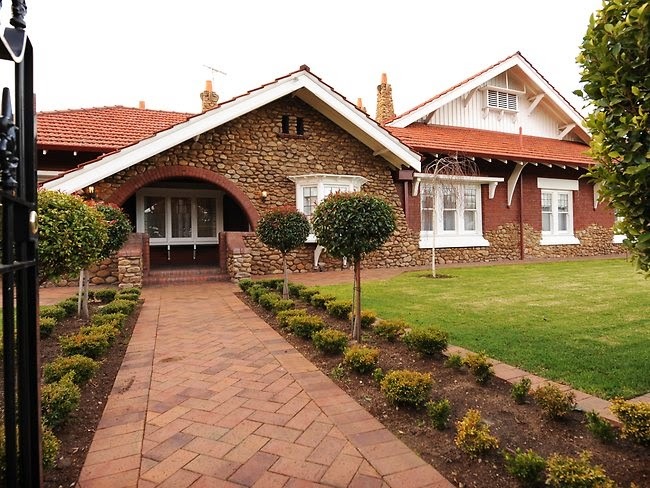 “It’s one of the iconic homes in Adelaide. Instead, they went to great trouble to retain parts of the original carpet and the original doors. “We wanted to keep some part of it. We stripped back and painted all the doors,” she says. The main bedroom also has a walk-through wardrobe (which used to be a dressing room) and an ensuite. The home has another four bedrooms, one with another ensuite. Even with an eye on the past, there is no lack of modern convenience, Mrs Peter says. 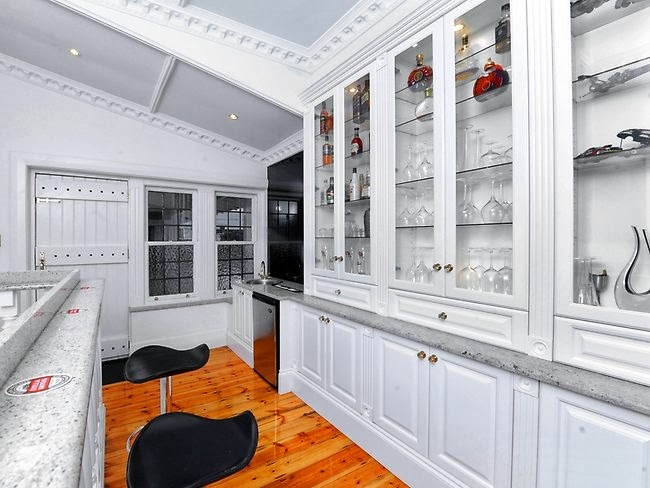 That includes a butler’s pantry converted to a wine bar. The bar is situated over a cellar with capacity for 6000 bottles. There’s also a home theatre room. “We’ve got a Rondo roof, a concaved roof and we had it spray-painted with the night sky and it’s got little starlets. It flickers,” Mrs Peter says. The updated kitchen features all Smeg appliances, including a built-in coffee machine, and there are cashmere marble benchtops and plenty of cupboard space. Outside, there’s the concrete, tiled saltwater swimming pool and a spa as well as an outdoor shower and a toilet. There’s a brick wood-fired pizza oven and the alfresco area with glass stacker doors and air conditioning. “The garden is almost like you could be sitting in a Queensland resort,” Mrs Peter says. Now the Peters are planning a sea change, Mrs Peter says a family who loves the surrounds would be right at home at Eaton House. “I would say people who love to entertain with the pizza oven and the huge resort area in the back garden, maybe a family with teenage kids, they’d be perfect,” she says. Previous Chiritta, Peppermint Grove W.A.